This recipe is a really easy alongside being an exceptionally tasty addition to the ever growing reel of the Gecko recipe archive. It can be done in a crock pot in the oven but I used a slow cooker. 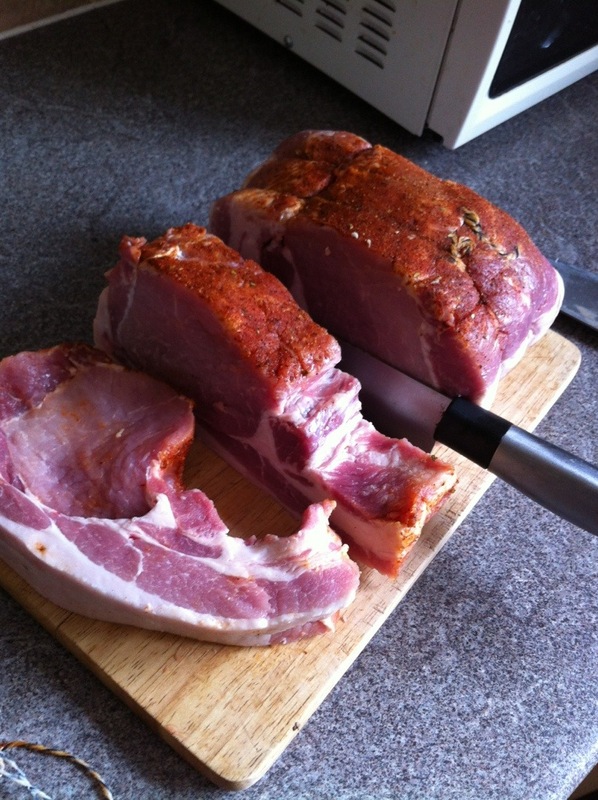 Two of my recommended cuts of pork are a shoulder or leg joint. Feel free to adapt the rub or marinade to your taste by cranking up the spice a bit or lowering it to your particular preference! I did this one Friday at work with the intention of feeding 3 of us and had so much left over I ended up supplying lunch for 8 people and getting a great reaction from all of them. I served it on wholemeal buns with pickled red onions and a garlic mayonnaise. MIX/CRUSH well (pestle is handy but not essential) and Rub evenly onto the meat and leave for around 30 minutes. 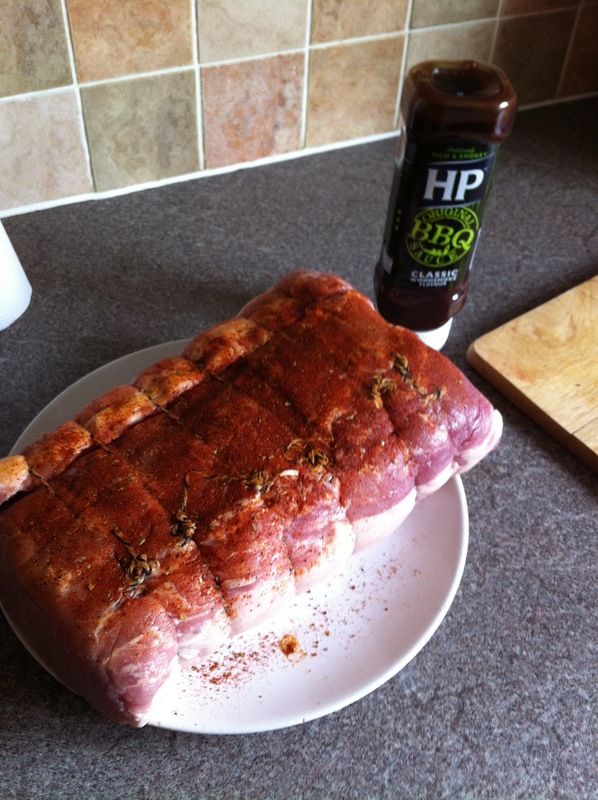 Add the rest of dry rub and mix well with 3 tablespoons of good barbeque sauce. Add pork (with any major fat cut off. I had to butcher it to get it into the slow cooker anyway it was a rather big piece of meat as the picture shows) and cook for 12 hours on low. Drain the liquid from the slow cooker/Pot. Rip apart with a pair of forks until completely shredded, add q further pinch of sea salt and add another drizzle of BBQ sauce and mix until evenly distributed. Leave to rest in the pot for a few minutes to absorb any remaining juices and take on the sauce nicely. final thought: Go the extra mile and fit a good spoon full into a wrap with a good quality chili sauce and some sliced mixed peppers. bang on. This entry was posted in cooking, food, Uncategorized and tagged american, and, are, Barbecue, Barbecue sauce, barbeque, bbq, but we, chef, chili, Chili powder, cook, cooker, cooking, eat, Food, Friday, marinade, Marination, meat, nice, pepper, Pork, pull, Sea salt, slow, Slow cooker, spice, Spice rub, Stock (food), you. Bookmark the permalink. YUM! I got scammed at the butcher when I tried my first pulled pork and ordered shoulder but she talked me into loin 😦 it was pretty dry and only took about 30mins in the crock pot so the flavour wasn’t really there. Shoulder next time. Shoulder, shoulder, shoulder! Thanks for a great post. Thank you for your kind comment 🙂 shoulder is certainly the way to go! Cant beat it!